Trending at $23.45eBay determines this price through a machine learned model of the product's sale prices within the last 90 days. 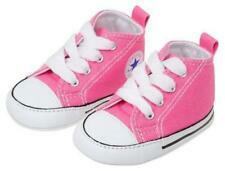 This listing is for a pair of Baby Girls Converse All Star Chucks Shoes/Booties. They are a beautiful pink color and are size 1. These shoes were worn once so they are in excellent condition, and come from a clean, smoke-free home. Ships USPS First Class Mail. All sales final so please see photos for approximate measurements and actual item condition. Please email me with any questions. Thank you! 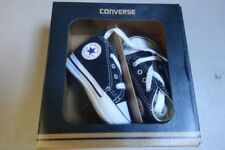 Baby Converse Shoes Black Size 2 Newborn Infant Crib Shoes. Condition is Pre-owned and maybe worn one time. Shipped with USPS First Class Package. 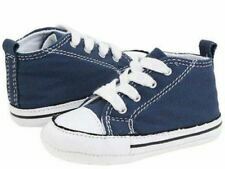 Converse All-Stars Crib Shoes - Infant Size 3 Navy Exc Condition Barely Worn. Condition is Pre-owned. Shipped with USPS First Class Package. Trending at $24.49eBay determines this price through a machine learned model of the product's sale prices within the last 90 days. 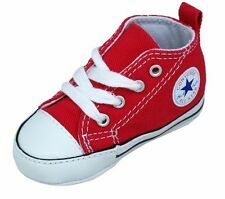 Baby Converse Crib Shoe (88865). Size: 3 - 4 1/2" insole toe to heel, 4 3/4" outer sole toe to heel, 2" widest part of outer sole and 2" bottom heel to the top of the shoe. Color: Blue. Clean super nice appear unworn. Hi! Welcome to Weaim2pleez. 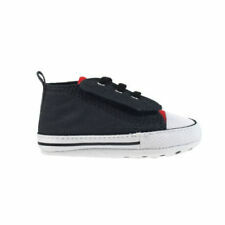 Here is 2 pair (4 shoes in all) of Converse Infant Booties. Size 0-6 months. Red and gray in color. Two pair are included. 82% cotton, 16% polyester, and 2% elastane. BRAND NEW in package! BUY IT NOW!! . Infant size 2. 3 to 6 months. CONVERSE CRIB SHOES. SIZE 4 INFANT TODDLER. White Leather Crib Shoes. Converse All Star. Baby Size 3 Infant. Simple Lace Closure. Leather Upper. CONVERSE Crib Shoes Pink FIRST ALL STAR BABY SIZE 4. Condition is Pre-owned. Shipped with USPS First Class Package. New ListingCONVERSE ALL STAR HI-TOP CRIB SHOES SIZE 3 BLACK SWEET ! 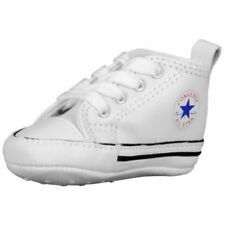 Converse All Star Hi-Top Crib shoes, black and white in color, infant / toddler size 3.